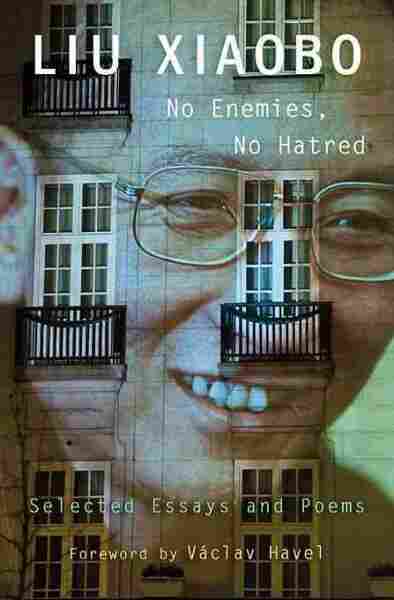 Liu Xiaobo: 'No Enemies, No Hatred,' Only Courage The Chinese dissident and Nobel Peace Prize Laureate Liu Xiaobo may be imprisoned, but his voice will not be silenced. His recent writings and poems have been collected in No Enemies, No Hatred. When Chinese dissident Liu Xiaobo was awarded the Nobel Peace Prize in 2010, an empty chair took his place on stage in Oslo. The guest of honor was serving an 11-year prison sentence for what the Chinese government deemed "incitement to subvert state power." "I hope that I will be the last victim in China's long record of treating words as crimes," Liu wrote in a statement he prepared for his 2009 sentencing. "Free expression is the base of human rights, the root of human nature and the mother of truth. To kill free speech is to insult human rights, to stifle human nature and to suppress truth." Imprisonment has silenced Liu's voice but not his writing. 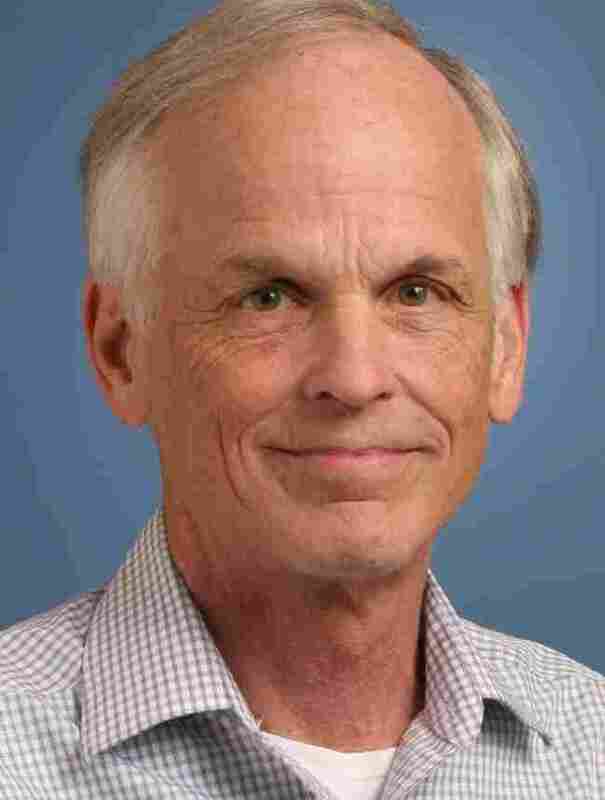 A new collection of his essays and poems, No Enemies, No Hatred (edited by Perry Link, professor at the University of California, Riverside), has recently been published. The book's title comes from the end of that statement Liu read at his trial in 2009. Link says Liu draws his nonviolent philosophy from leaders such as Mohandas Gandhi, Martin Luther King and Vaclav Havel. "He wanted to make the point that the crux of the matter is not bad people; it's a bad system," Link tells NPR's Melissa Block. "He went out of his way in this statement to say, 'The police that arrested me and the prosecutors who prosecuted me and the judges who sit before me today are not my personal enemies. It's the system that traps them and me that we have to attend to.'" Liu has been fighting on behalf of democracy in China for decades. In 1989, he returned to Beijing from the United States to participate in the Tiananmen Square protests. He escaped the massacre physically unscathed but plagued by survivor's guilt. I'm haunted by the grave responsibility of being still alive. I do my best to make every word from my pen a cry from the heart for the souls of the dead. I use my memory of their graves to combat the Chinese government's pressure to erase memory. My searing desire to atone for having survived helps me resist the temptations to join the world of lies. Even though Liu negotiated a way for students to exit the square unharmed, Link senses that the activist is still haunted by his next actions. "He escaped to the diplomatic quarter and took refuge in the home of a foreign friend," Link says. "Later he learned that other — as he calls them — 'ordinary' — Chinese stayed on the streets, tried to rescue the wounded and sometimes paid, themselves, with their lives for doing so. So he's been very, very hard on himself for that point." Though most of his writing is critical of the state, not all of it has landed Liu in hot water with the Chinese government. The primary document that led to his imprisonment was "Charter 08," a pro-democracy manifesto published in December 2008. "The crucial part of 'Charter 08,' in the view of the authorities in Beijing, was its call for an end to one-party rule," Link says. "Liu Xiaobo does not call for an end to the Communist Party. His view is that, yes, you can compete with others. But the crucial point is that you need to compete with others and other parties should be allowed to exist and operate. And the Communist Party of China can't swallow that." 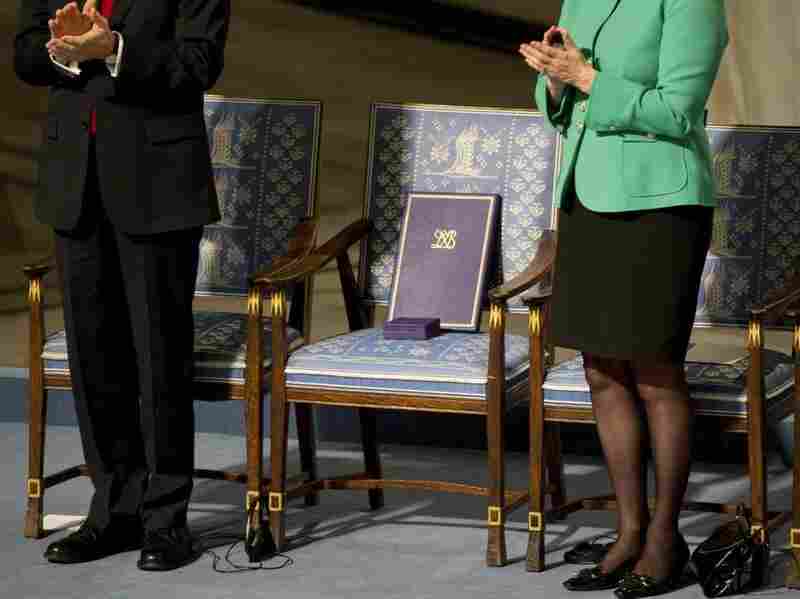 With the Nobel Laureate Liu Xiaobo imprisoned in China, the 2010 Nobel Peace Prize ceremony centered around an empty chair. In one of the essays included in No Enemies, No Hatred, Liu despairs over China's lack of a moral leader — someone who could inspire the public like Vaclav Havel did during the Czech Revolution. Link believes Liu could potentially fill that role, but points out that the dissident is not very well known in his home country due to state censorship. After the 2010 Nobel ceremony, if Chinese people searched for the phrase "empty chair" on the Internet, they'd find nothing. Chinese censors had banned it. Link argues that such thorough censorship "shows that the government authorities themselves are as clear as anybody on the fact that if "Charter 08" and his other essays got out, they would have a tremendous positive reception." Already Link suspects that Liu's profile surged after being awarded the Nobel: His blogs grew in readership and websites "were pummeled with inquiries" about him. Little is known about the conditions of Liu's imprisonment. His communication with the outside world has been completely blocked. If forced to serve his full sentence, Liu won't be released until June 2020.